Poe Ballantine's "Free Rent at the Totalitarian Hotel" included in Best American Essays 2013, and for well over twenty years, Poe Ballantine traveled America, taking odd jobs, living in small rooms, trying to make a living as a writer. At age 46, he finally settled with his Mexican immigrant wife in Chadron, Nebraska, where they had a son who was red-flagged as autistic. Poe published four books about his experiences as a wanderer and his observations of America. But one day in 2006, his neighbor, Steven Haataja, a math professor from the local state college disappeared. Ninety five days later, the professor was found bound to a tree, burned to death in the hills behind the campus where he had taught. No one, law enforcement included, understood the circumstances. Poe had never contemplated writing mystery or true crime, but since he knew all the players, the suspects, the sheriff, the police involved, he and his kindergarten son set out to find out what might have happened. Poe Ballantine's work has appeared in "The Atlantic Monthly, The Sun, Kenyon Review, " and "The Coal City Review." In addition to garnering numerous Pushcart and O. Henry nominations, Mr. Ballantine's work has also been included in "The Best American Short Stories 1998" and "The Best American Essays 2006" anthologies. Cheryl Strayed is the author of the number-one "New York Times" bestseller "Wild, " the "New York Times" bestseller "Tiny Beautiful Things, " and the novel "Torch""Wild" was chosen by Oprah Winfrey as her first selection for Oprah's Book Club 2.0 and optioned for film by Reese Witherspoon's production company, Pacific Standard. Strayed has written the "Dear Sugar" column on TheRumpus.net since March 2010. Her writing has appeared in "The Best American Essays, the New York Times Magazine, the Washington Post Magazine, Vogue, Allure, The Missouri Review, Creative Nonfiction, The Sun" and elsewhere. Her books have been translated into twenty-six languages around the world. Poe Ballantine essay included in 2013 Best American Essays out 10/1/13. 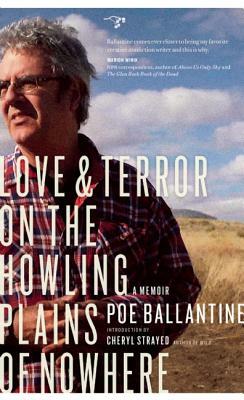 Poe Ballantine essay included in 2013 New California Writing out 4/15/13. Decline of the Lawrence Welk Empire has the same amped tone and subtropical setting as Hunter S. Thompson’s The Rum Diary but less of the gonzo arrogance and more of that good ol’ American angst.